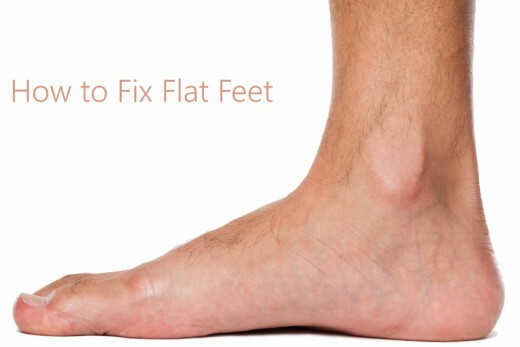 Can you cure flat feet? Sure you can. With the help of my yoga teacher and a lot of research and some practice I have cured my own flat feet. Now I have no more knee pain, hip pain, and even my back ache has gone. How come? 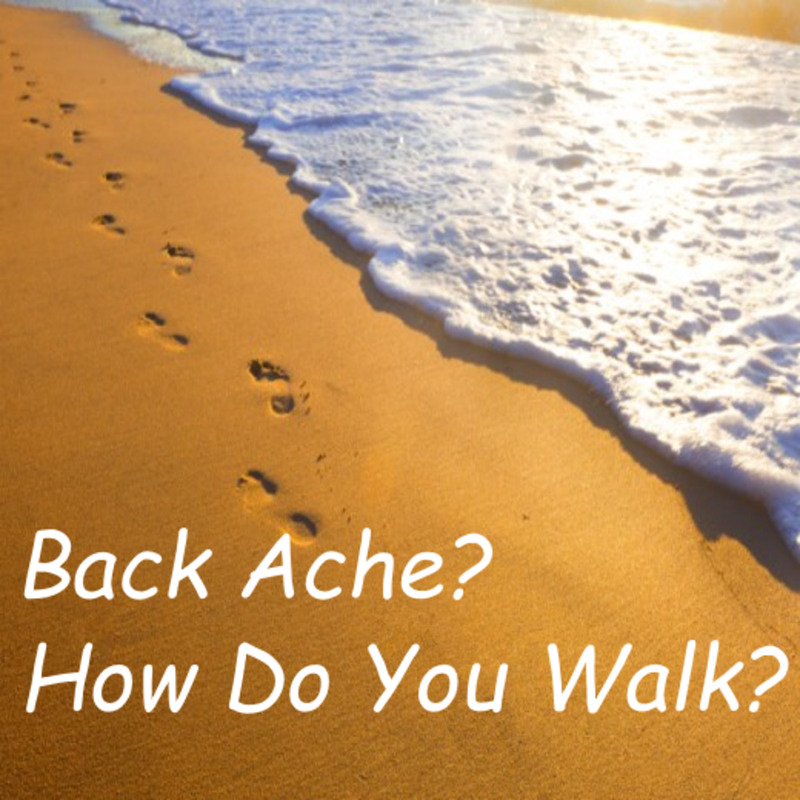 This article explains the full workings of the foot and offers exercises to correct flat feet for a better stance, strong balance which all helps to cure ankle, knee, hip and back pain. To find out the severity of your flat feet, take a footprint. A foot print, or drawing of a foot, is indicative of its health. The feet are the foundation of the body. Feet are the most important part of posture since they carry the rest of the body. To make a footprint, take your shoes off and stand on the floor with bare feet. Now dip the foot in the water and step on a piece of brown paper. Which picture does your footprint look like? Look at your footprint to see how you use (or misuse) your feet. Next, try to spread your toes as far out as possible. Make them look like ducks' feet. 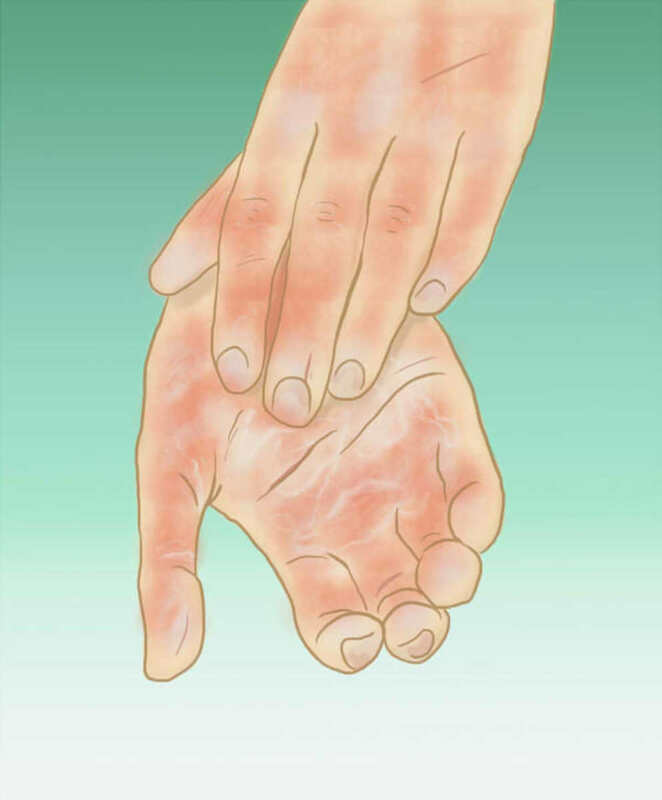 Memorize which muscles are working when spreading the toes, then take the footprint again. Any change? Perhaps not yet. Nevermind, just carry on with the next exercise but bookmark this page so you can come back and try again tomorrow. I see joggers running their ankles into the ground because they don't realize that they have flat feet. Flat feet soon causes knee damage. Badly aligned knees may, later on in life, create the need for knee- and hip replacement operations. To better understand why people suffer unnecessarily, let us take a look at the structure of the foot. Even if you have chosen picture 2 as resembling your footprint, practice the Toe Alignment exercise below for maintenance, and to prevent future problems. The main body of your foot is, like your hands, made up of fan-shaped bones spreading out towards your toes. 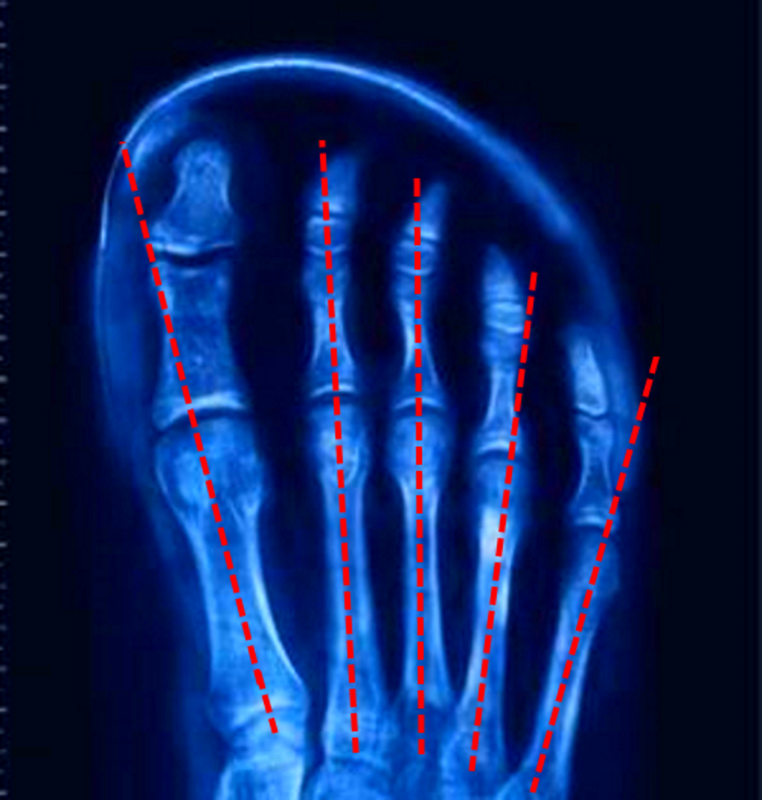 Your toes should be aligned as a continuation of these fan-shaped bones. Not many feet are shaped like this because we wear ill fitting, mass manufactured shoes that cause bunions, hammer toes, and other such self-inflicted horrors discussed elsewhere in an article "Are Shoes Bad for You?" ( find link at the bottom). The funny thing is that when people make an effort to spread their toes, they often open the palms and spread the fingers as well. This is because the brain is more familiar with sending "spread" message to the hands than to the feet. When the toes are asked to spread, they follow a movement pattern the brain already knows from when it sends messages to the hand. In other words, the fingers are trying to teach the toes how to do the job. The brain is such a clever organ (pardon the cliché) that it will use what ever information is already stored in its memory bank to perform a new task. Say, for example, you decided that you wanted to learn to write all over again but this time with the left hand (if you are right-handed). The task would be much easier to you, already an accomplished writer, than to a child who is learning to formulate the shapes of the letters from scratch. To get back to spreading your toes, the benefits are manifold. Not only are you beginning to improve your feet, your stance, balance and posture. By learning new moves for previously dormant parts of your body, you are now also developing new brain cells all at the same time! Is that enough incentive? Now let us re-align the big toe. 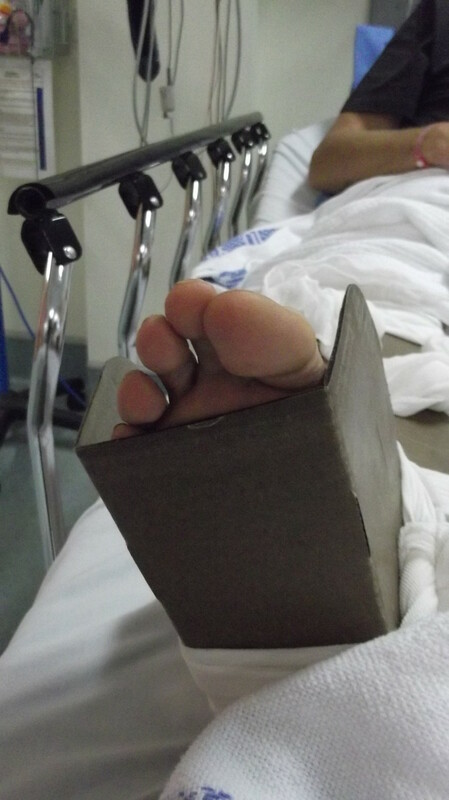 Make sure to keep the big toe joint in place. 1. Place the right foot on the ball of the foot so that it is 'turned in', with the big toe pointing inwards. 2. While keeping the big toe firmly in place (you might need to use your hands to keep it there), bring the heel inwards and down onto the floor until the foot is parallel as on the last picture. Now the foot is correctly aligned for most efficient weight bearing. 3. Keeping the toes spread and the heel on the floor, bend your knee slightly while aligning the knee-cap centrally above the third toe. This will lift your arch. Make a mental note of the sensation. Which muscles can you feel engaged? 4. Now slowly straighten the knee. You should feel a lifting of the longitudinal arch (the inside of the sole) and a lot of strength coming into the outside of your ankle and shin. 5. Repeat from No.1 above two or three times with the same foot until you can feel it working. Aim to keep the toes fanned out. 6. Shake the foot loose as if throwing off a large boot. 7. Repeat with the left foot. 1. Hold onto something and stand on the ball of your feet, turned in, with your big toes close together. 2. Slowly bring the heels together and down onto the floor while keeping the tips of your big toes in place. 3. Now bend the knees while aligning them centrally over the feet. 4. Straighten the knees. You should feel a lifting of the arches and a lot of strength coming into the ankles and the sides of your shins. 5. Repeat from No.1 two or three times and shake loose. Next, let us take a look at the bottom of your feet, the sole. Just like a kitten's paw, the sole of your foot has pads for shock absorption. There is one large pad under the heel, two pads form the ball of the foot, and you have a pad under each toe. The areas that don't touch the ground form the feet's arches. How can you restore the arches? In all the previous exercises for foot and toes alignment we made sure that the knee-cap was centered above the middle toe when bending the leg in standing (for example when you go up and down the stairs). Now practice an Arch Lift to strengthen the arches. 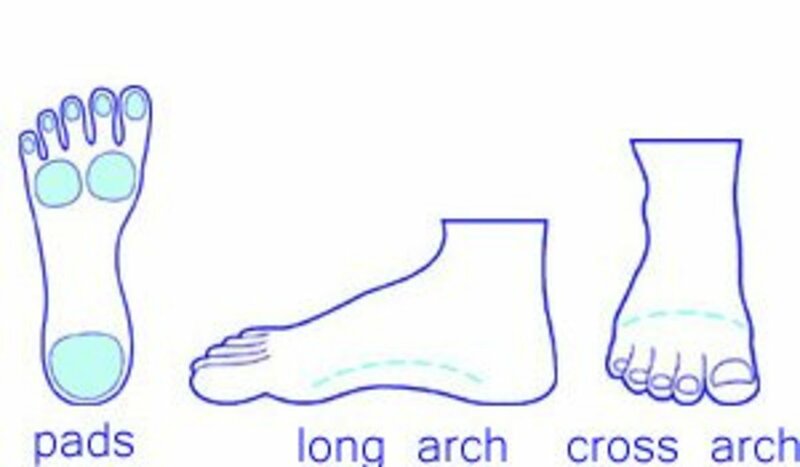 Try to pick things up with your feet to develop the right muscles for restoring and maintaining both the long arch and the cross arch. In addition, follow the exercise in the following video and try to do it on a daily basis until your flat feet are cured with a strong arch. There are numerous situations when you can fill time by training your body while doing something else or simply to fill up boring waiting time. Once you understand and have become familiar with the exercises above, rather than setting aside valuable time especially to "exercise", you can perform any of the above moves every time you take your shoes and socks off, or when you are waiting for the kettle to boil, or while you are brushing your teeth, or while waiting for something to download on your computer, or even in the shower. It is well worth investing some initial attention and constant practice in the beginning. In this way, what you learn here can become automatically incorporated into your daily habits. Once the body has accepted constant correction as a new behavior, the new behavior becomes the norm - it's in the bag, you will never have to think about it ever again. Do you take your shoes off when you get home? I take my shoes off straight away and leave them by the front door. We don't wear shoes in the house. I take my shoes off when I relax to watch TV. I take my shoes off when I go to bed. What we learned here is that fixing flat feet is possible and crucial for good health. As you continue doing the above exercises as part of your daily dressing, grooming and multitasking routines, you will soon discover that your feet will gain in mobility and strength. The arches will raise to help get rid of flat feet. You will become more grounded, confident, and gain much improved posture, balance and strength. What has confidence to do with your feet? Well, in body language, someone who is well grounded with a decent posture and feet they can walk on comfortably literally "stands his/her ground" and is not so easily pushed over. Confidence invites respect! And lastly, here is the promised link to Are Shoes Bad for You? You will find real live case studies and any questions you may have will be answered in the comments discussion below. Sprained Ankle vs Broken Ankle - How Do You Tell the Difference? Well said Sesha. Our kids run around on bare feet even on the most rough grounds of the finca. They are used to it. I strongly feel shoes are not required for kids at all. Building up proper posture starts at the feet. Only then is it possible to align the ankles, knees, pelvis, and the spine. When moving and walking, always be aware of economic weight distribution. I enjoyed reading your hub very much and I will be giving these exercises a try. Thank you for the great advice. Hey Sue, thanks. I think for me my focus is going to be on my own website. But thanks for the kind words. For anyone interested, check out sensational yoga poses. Yes, a video is on my to-do list. And thank you for the foot bath reminder Leah. Can you post a video with the foot exercises? I am a visual learner and want to be sure I do them correctly. Great Articles! I have started soaking my feet each evening for 30mins hot water no salts or bubbles added... followed with a pumice stone then coconut oil. I was reading in a book ”Age less Live more" how important it is we give our feet extra attention each day after carrying our full body weight all day. I read your long comment again Neil and appreciate it. You are obviously as passionate about expanding body awareness as I am. Why not turn the issue into into a hub: " How to Become More Body Aware - Where to Start?" or something to that effect. Keep up the good work! Great article! Voted up, useful, awesome and interesting! I wish somebody had motivated me to do something like this when I was young! You are right Neil, the pelvis is a good place to build up posture in sitting. I like your emphasis on breathing and awareness focus. PS: You might like to try the "Head Walk" as a way to loosen and strengthen the back of the neck safely. that's true but in order to stand up, walk, run and jump they need their whole body. I'm not saying that learning the feet isn't important. Learning the whole body is important. I've got flat feet (half flat actually) and one of the exercises that I teach when I teach standing poses is how to activate feet and use feet to feel center of gravity. However, before I have them standing I often have them start sitting. While sitting I teach them to feel their pelvis first, then their spine, then their ribs, then their head. Then when they are standing I have them feel their feet. If they are balancing on their hands, I often have them learn to use their shoulders first. If you learn to break the body down into bits, like you obviously have, you can teach any piece you like first. You obviously choose to start with the feet first because it makes sense to you and it does to me to. but it doesn't mean that everyone and their dog has to start that way too. and just to argue a point for starting with the neck, it's what babies start of learning. Another starting point could be breathing. You can learn to feel your breath as a starting point for really good posture. How? teach people to breath with their spine and ribcage. It's not the perfect type of breathing method but it teaches people how to feel their ribs and thoracic spine and better yet improves mobility of them both too. One of the nice things about teaching people how to feel their breath is that they can then radiate that awareness outwards to the rest of their body. But you can do the exact same thing with your feet too. Start with the feet and radiate awareness upwards from there. I should point out here that I focus on teaching people to feel and control their body and I also take the time to explain what they have to do. And I make the exercises simple enough that they can focus on doing them. If they can't do the exercise then I re-explain it or redefine it to find an exercise that they can do. Some people are more sensitive and have better body control than others. However, in all cases it can be something that continues to improve over time. And so depending on the people, I'll start with the feet in some cases, the spine or the breath (or something else) in other cases. But in all cases the goal is the same to help them better be able to feel and control their body and lead it with a clear idea of what they are trying to do. OK Neil, I agree that the spine is crucial in posture but at some point people are going to have to stand up and walk, run and jump. If they have flat feet, miss-aligned ankles and knees then they are not going to get very far are they? Better get the feet right first. You can always start seated, then the feet dont' matter. You can then focus on creating a good foundation for the spine by learning to feel your pelvis. Or you can learn to move your pelvis and spine together which gives you a good foundation in feeling your spine, pelvis and ribs. Students can learn to feel their spine first (or elemements of their spine) while sitting or they can focus on feeling their feet while standing. In either case you help them to feel their body. Posture can start with your spine and radiate outwards, or it can start from your feet and radiate upwards. I believe that good posture is the first quality to nurture before attempting training of any kind apart from perhaps swimming where gravity is less detrimental. Starting with the feet is the only option to make it work. You cannot construct an edifice without a sound foundation. Hi, another great article. Agree that starting with the feet is a great option, however it isn't the only good option. I've heard of those. Good if you can help some of the victims. Hi Sue! Good posture and foot placement are so important, especially for those that may be having problems with a defective DePuy Pinnacle hip replacement. Thanks for the info! I agree with Safire. Shoes on young kids can really damage their feet. You should not put any shoes on your baby until absolutely necessary. Keeping the feet free, naked, allows for more natural development and growth. Shoes always damage the feet however "sensible" they might be. At least that's my opinion for what it's worth. I have a 9 months old baby who is nearly walking. I get confused with contradictory information. Some people say I should put firm shoes on him to support his feet and help him balance, other say I should leave the shoes off for as long as possible. What should I do? I'm so glad Magnoliazz that you agree with me about starting the postural construction at the feet. The Alexander Society nearly took me to court for criticising the Alexander Technique in that Alexander's starting point was the neck. Today Pilates is more popular than Alexander. Just goes to show how fashion trends shift. The best method is probably a well informed mixture of the main disciplines including yoga, tai-chi, Feldenkrais, Bartenieff and many others. WOW Sue! Great hub! I am a nurse, and even I learned from this hub. relief with just going barefoot, and finding shoes with very little heel, as close to the human foot as possible. Yes, health starts with the foot and works its way up. Thank you Appletreedeals. It's nice someone takes the trouble to give me expert advice. I'll do that. Ok Sue, last one for tonight. I hope these are helpful and not an nusiance. Google search, (that's how you get indexed and traffic) like to see fresh content when it crawls a page/hub. your rss will always be updating with fresh news stories, and every time a web spider crawls your page it will see it has been updated with "fresh" content and will give you a little better page ranking. but don't use this as a complete "fudge", make sure you put in news feeds related to hub contents. Thank you for your comment Mega1. 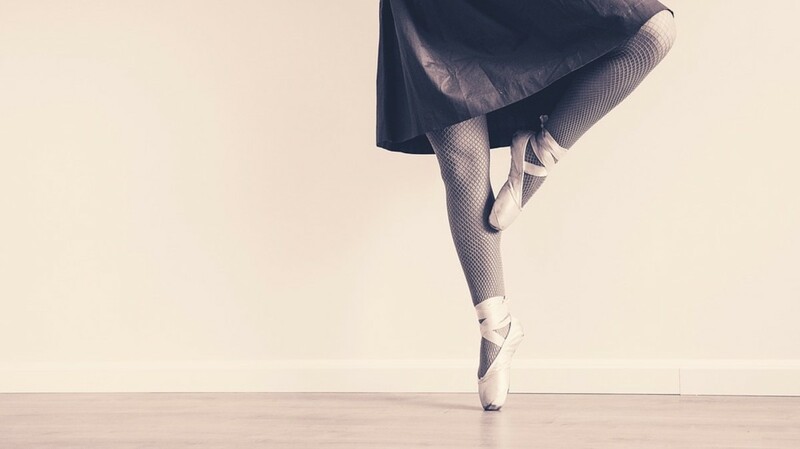 As a classical ballet dancer my pointe shoes made sure I developped bunions. Later, long after I stopped dancing on my toes my Yoga teacher showed me the Toe Alignment exercice above which really helped me get my poor feet back into some form of normality. The key is: keep practicing and don't wear narrow shoes. You're a good writer - I can hardly wait to see what you suggest for bunions. My bunion can hardly wait, also. Thanks for these exercises.